I don’t agree with Hitchens on very much, but he is right about this. In his book The Broken Compass, Hitchens informs us that opinion polls are actually a device for influencing public opinion. He says that the establishment and the media are responsible for this manipulation, based on the misuse of statistics. The overall purpose is to “bring about the thing it claims is already happening”. The author cites contemporary examples of the media attacking Gordon Brown and the “predicted” win of the Conservative Party at the 2010 general election, although Hitchens also described Brown, as a “dismal Marxoid.” Hitchens’ comments are based on his time as a reporter at Westminster. He says that political journalists are uninterested in serious political debate, and describes how a media reporting bias is attempting to facilitate a Tory general election win. Remarkably, as a social Conservative, Hitchens states one of his motivations for writing the book was to frustrate this exercise. Of course government influence isn’t the only problem. Neoliberal bias and “market forces” that result in a biased presentation include the ownership of the news source, concentration of media ownership, the selection of staff, the preferences of an intended audience, and pressure from advertisers. In short, we cannot escape the cultural saturation of pro-establishment views, and the establishment is of course both neoliberal and Conservative. Predicting elections may seem interesting, fun, and perhaps even educational from an academic perspective, but it doesn’t add much to our democratic practices. Polls give an apparency of “data-driven journalism” but it produces a reductive “horse-race” narrative, in which political and policy context is mostly ignored with the numbers, accurate or not, pretty much being framed as all that matters. This trivialises our democracy and obscures the importance of critical thinking and informed choices regarding policies in influencing the public’s voting decisions. Priming is a subconscious form of memory, based on identification of related ideas and objects. This effect happens when external stimuli “manipulate” internal thoughts, feelings or behaviours. After becoming activated by stimuli, priming triggers these associations in our memory. For example, one study showed that a store playing traditional French or German music can prime shoppers to buy French or German products. 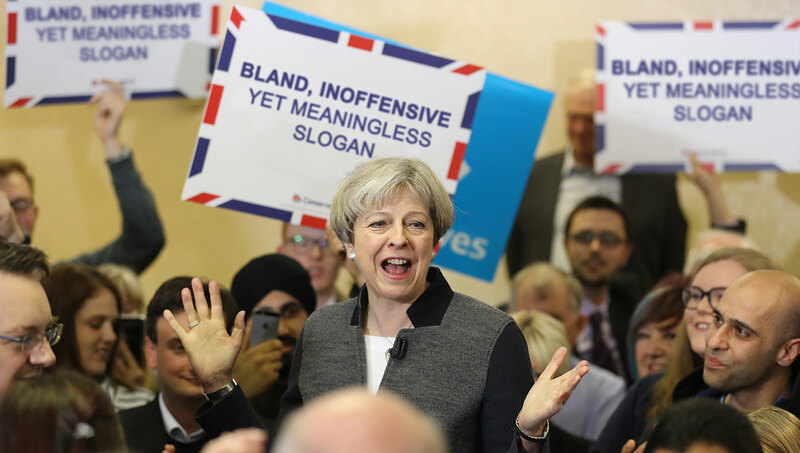 Political slogans are also frequently used as a priming tool. They provide reference points – they are gateways to underlying ideological narratives. So, priming may be used as a strategy that entails the intentional use of certain words, phrases or images that can subtly influence our thinking – via an interpretive frame – at least to an extent. Some psychologists have argued that priming can have effects on changing our decision-making and behaviour, that seeing an image of money can affect our political views, for instance, or that reminding individuals of stereotypes applied to their social group can harm their performance in a test and in other ways. Stigma is a political tool, usually reserved for despotic regimes, but in Western democracies, othering traditionally marginalised groups has become such common practice that it’s almost hidden in plain view. Attempts to test such effects suggest that at least some of them are not reliable. But priming, in a more general sense, still matters, such as when people use contextual cues during a conversation to interpret the meaning of ambiguous language. Political media priming is “the process in which the media attend to some issues and not others and thereby alter the standards by which people evaluate election candidates”. A number of studies have demonstrated that there is a dimension of powerful media effects that goes beyond basic agenda setting. In 1982, Iyengar, Peters, and Kinder first identified this added dimension as the “priming effect.” The theory is founded on the basic assumption that people do not have elaborate knowledge about political matters and do not take into account all of what they do know when making political decisions — they must consider what more readily comes to mind. Through drawing attention to some aspects of politics at the expense of others, the media might help to set the terms by which political judgements are reached, including evaluations of political figures. A process of carefully calculated uses of public opinion on policy issues may (and are) very easily used as strategies to intentionally influence voters’ standards for assessing political candidates’ attributes. In sociology, framing is a schema of interpretation: a sort of shorthand collection of anecdotes and stereotypes that individuals depend on to understand and respond to and navigate events. In other words, people build a series of mental “filters” through biological, social, political and cultural influences. Citizens then use these filters or signposts to make sense of the world. The choices they then make are influenced by the creation of a frames. The effects of framing can be seen in the media. With the same information being used as a base, the “frame” surrounding the issue can change the reader’s perceptions without having to alter the underlying facts. In the context of politics or mass-media communication, a frame defines the packaging of an element of rhetoric in such a way as to encourage certain interpretations and to discourage others. For political purposes, framing often presents facts in such a way that implicates a social problem that is in need of a certain solution. Members of political parties attempt to frame issues in a way that makes a solution favouring their own political leaning appear as the most appropriate course of action for the situation at hand. When political opinion polls and the media appear to support one political party over another, there can be little doubt that this will have an influence on the psychology of voters, because it’s akin to declaring election winners before the election is actually held. It works rather like a self-fulfilling prophecy. In the UK, the media is biased and leans heavily towards the right. Despite the fact that the Labour party currently has the highest party membership in Western Europe, yet the party leader is viciously attacked, and very often in a particularly nasty, personal and highly misleading way. The systematic way in which the media are actively attempting to delegitimise Corbyn is unworthy of a so-called democracy. Some countries, such as France, Brazil and South Korea, impose a halt on election polling because of the bandwagon effect, which may skew the democratic process. The bandwagon effect describes a process of voters favouring a party that is doing well in the polls, while the underdog effect predicts that support will go to a party trailing in the polls. There is also the possibility of a projection effect, with voters’ expectations conforming to their partisanship. There is rather less empirical evidence for the existence of underdog effect than there is for the existence of the bandwagon effect, which is based on individuals rallying to the perceived majority opinion, because of a fairly widespread psychological need for feeling we are part of a social ingroup, and a general tendency towards normative compliance and social conformity. And at a time when the strategically engineered and toxic social divisions of political outgrouping is widespread and affecting citizens’ fundamental sense of identity and self worth, this type of insidious call for a normative compliance and artificial consensus creates a false sense of security for some. We know that political opinion polls are certainly not always an accurate reflection of public opinion. Samples of the population selected to participate may be biased. For example, asking Daily Mail readers who they will vote for will almost certainly produce a majority right wing set of responses. However, if you ask the same question on Twitter, you are much more likely to get a Labour majority. The polls do have an effect on voter intentions and on those trying to influence the outcome of elections. Poll by ITV’s This Morning asked viewers which party leader they would prefer to see as Prime Minister. More generally, in sociology and other social sciences, bias is defined as any tendency which prevents unprejudiced consideration of a research question. Bias can occur at any phase of research, including study design, or sampling and data collection, as well as in the process of data analysis and publication. It is widely recognised that quantitative social research methods, such as surveys, may be susceptible to reduced reliability and research bias, sometimes entailing a process where the researchers performing the survey influence the results by selecting a specific kind of sample of the population, for example. Human nature is complex and can not be reduced easily to just a simple either/or response. Bias may arise when researchers inadvertently or deliberately select subjects that are more likely to generate the desired results. Either way, this is a reversal of the normal processes governing science. Additionally, there is also a risk of response bias – a general term for a wide range of cognitive biases that influence the responses of participants away from accuracy or truthfulness. 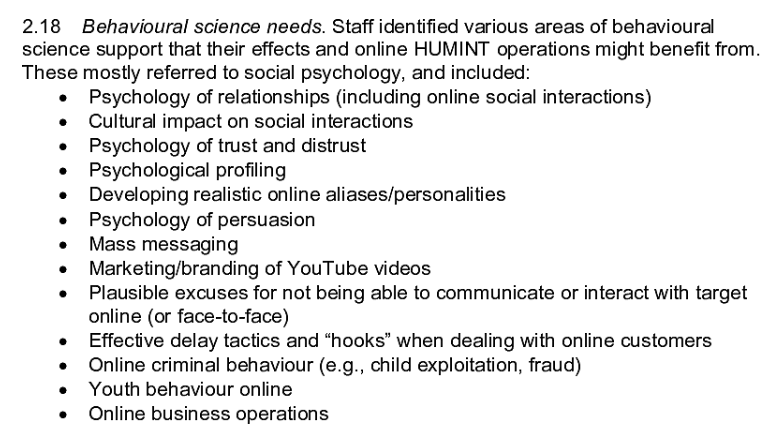 These biases are most prevalent in the types of studies and research that involve participant self-report, in quantitative research such as surveys. Response biases can have a large impact on the validity of questionnaires, surveys and polls. With all of this in mind, we need to think about how the conventional political polls are run, who runs them, who funds them and for what and whose purpose. Ipsos MORI (formerly MORI). Ipsos MORI’s Social Research Institute works extensively for the Government of the United Kingdom, looking at public attitudes to key public services, and so informing social policy. Issues such as identity, social cohesion, loyalty, physical capital and the impact of place on attitudes are all key themes of the Institute’s work. The company also specialises in mass media, brand loyalty, marketing and advertising research. YouGov. – Stephan Shakespeare, the firm’s founder and CEO from 2010, once stood as a Conservative candidate for Colchester; he was also a Conservative Party pollster. The other founder, and CEO until 2010, is Nadhim Zahawi a British Conservative Party politician who has been the Member of Parliament (MP) for Stratford-on-Avon since 2010. ICM. They say “Understanding choice means you know how your audience feels, thinks and behaves. And how you can change that. We help influence choice in three areas. How do you energise your brand and communications? How do you improve your customers’ experience of you? How do you understand and influence citizens? TNS-BMRB. TNS changed their name to Kantar Public UK: a leading agency providing research and consultancy to UK policymakers. The company is structured around specific areas of marketing expertise: Brand & Communication; Innovation & Product Development; Retail & Shopper; Customer Experience; Employee Engagement; Qualitative; Automotive; and Political & Social. All of these companies operate within a taken-for-granted neoliberal context, supporting various actors within the “global market place” paradigm, including governments, and therefore have a distinct ideological leaning and very clearly defined economic interests in maintaining the status quo. It’s likely that Lynton Crosby’s international notoriety made him the subject of considerable press attention during the Conservative’s election campaign. However, there was another man also behind the Conservative campaign who was probably even more cunning. American strategist Jim Messina was hired as a strategy adviser in August 2013. Senior Conservative staff had been impressed by Barack Obama’s easy victories in the 2008 and 2012 presidential elections, crediting a relentless focus on data collection to Messina. 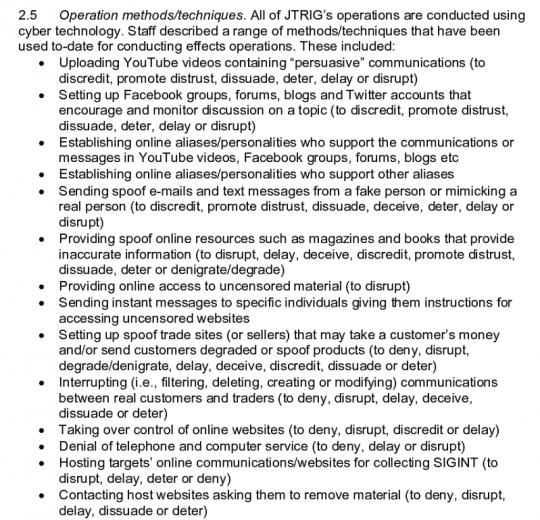 Messina uses vast databases, commercial market research, complex (and revealing) questionnaires and phone banks. This way, the Conservatives had an unprecedented access to in-depth information – the moods, desires, concerns and vulnerabilities of swing voters – and so they designed nudge-styled, highly personalised messaging that would appeal to them, based on the comprehensive details gathered. Messina used commercial call centres to discover and track the views of between 1,000 and 2,000 voters in all 80 of the seats targeted by the 40/40 strategy by stealth. Access to this level of personal data was crucial to the success of the Conservative campaign: it determined which voters the party needed to target, contact and which type of message they would present. This process began with direct mail – personally addressed to voters in each target seat, who were divided into 40 different categories, with a slightly different tailored message for each one. A telephone research company called Return Marketing (now known as Return Research) canvassed thousands of voters in the run-up to the 2015 general election. The calls they made rather tellingly targeted voters in specific, marginal constituencies. Channel Four’s secret filming of the company Return Market’s “push polling”- polling designed to influence voters while masquerading as political research – during the EU referendum. Pollsters, by and large, reject the charge that they herd public opinion, but social psychologists and behavioural economists inform us that there is more than a little truth in the bandwaggon effect theory. Pollsters say they are careful to avoid influencing the outcome of a poll through priming and order effects in the survey design, but there are many other stumbling blocks to bear in mind. Social psychologists and the new behavioural economists say that in general people want to follow the crowd and do not like to challenge the normative order (which as a concept is in itself a very functionalist and conservative framing of society). 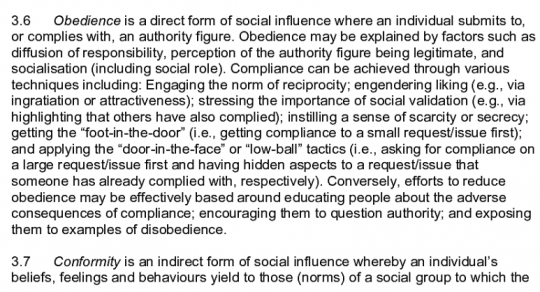 This is reflected in the nudge theorists’ use of social norming strategies, currently being adopted in public policies, which politically target some social groups to change their perceptions and behaviours. Social norming is based on an assumption of pluralistic ignorance by “choice architects“. Ultimately, the “choice architects” are the government, who, after all, are responsible for public policies which utilise experimental behavioural theory. It’s of major concern that attempts by a government to surreptitiously change the perceptions, behaviours, emotions and decision-making of a population using experimental behavioural economic theory and discriminatory policies is not currently subject to public scrutiny and ethical standards. There is nothing standing in the way of “choice architects” using social norming to generate, manipulate or exploit pluralistic ignorance in order to simply maintain and justify the status quo. In fact they DO. So if we see an opinion poll telling us what the majority thinks, believe or is doing, because many have an inbuilt psychological bias towards following the crowd, we need to question potential motives underpinning that “information”. The government know about the bandwaggon bias and are designing communications strategies and policies which play to this heuristic. Buying Facebook ‘likes’ is one example of this attempt to create a false impression of public consensus and political popularity. In the late 1960s and 1970s, movement Conservatives persuaded wealthy individuals and businesses to establish a conservative intellectual and political infrastructure. This includes think tanks that resemble academic institutions but publish studies supporting Conservative and libertarian arguments. The American Enterprise Institute was founded in 1943, but was expanded dramatically with new funding in 1971. The Heritage Foundation was created in 1973 and the Cato Institute was founded in 1974. 2020 Health | Atlantic Bridge | Adam Smith Institute | Better Off Out | Big Brother Watch | Bow Group | Bruges Group | Campaign for an English Parliament | Campaign for the Protection for Rural England | Centre for Policy Studies | Centre for Social Cohesion | Centre for Social Justice | Christian Conservative Fellowship | Civitas | Conservative Education Society | ConservativeHome | Conservative Intelligence | Conservative Party | Conservative Philosophy Group | Countryside Alliance | Democracy Institute | Direct Democracy | Drivers Alliance | Doctors for Reform | Economic Policy Centre | Enterprise Forum | European Foundation | European Policy Forum | Family Education Trust | First Defence | Forest | Freedom Alliance | Freedom Association | Freedom Zone | The Free Society | Global Vision | Global Warming Policy Foundation | Henry Jackson Society | Institute of Ideas | Institute of Directors | Institute of Economic Affairs | International Policy Network | Legatum Institute | Liberty League | Localis | Message Space | Migration Watch | New Culture Forum | Nothing British about the BNP | Nurses for Reform | Open Europe | Policy Exchange | Politeia | Progressive Vision | Reform | Reform Scotland | ResPublica | Safe Speed | Save Our Pubs and Clubs | Selsdon Group | Social Affairs Unit | Social Market Foundation | Spiked | Standpoint | Student Rights | Sunlight COPS | Taxpayers Alliance | TEA Party UK | UK National Defence Association | Young Britons Foundation, among others. The problem is that think tanks synthesise, create and communicate “information” and give “advice” to the public and policy-makers, very often through the media. Think tanks tend to be far more media savvy than academics, often with staff who have backgrounds in the communication industry – media, PR or lobbying organisations. This means that policy proposals, media narratives and public debate are much more likely to reflect Conservative ideology and favour pro-establishment outcomes, rather than being non-partisan, evidence-based and crucially, a representation of public needs. This of course turns democracy completely on its head. As key players in “democratic” politics and in shaping public opinion, think tanks have a responsibility to be transparent about their operations, but seldom are. A good question to ask is who funds them and what is their agenda? More recently, I explored the role of intentionally deceitful political language and rhetoric in another article which highlights the role that the media play in shaping our public life. Media manipulation involves a series of related techniques in which partisans create images or arguments that favour their own particular interests. Such tactics may include the use of logical fallacies, psychological manipulations, deception, linguistic, rhetorical and propaganda techniques, and often involve the suppression of information or alternative perspectives by simply crowding them out. Discrediting and minimisation are often used in persuading other people or social groups to stop listening to certain perspectives and arguments, or by simply diverting public attention elsewhere. An example of diversion is the recent widespread scapegoating of refugees and people who need social security, such as disabled people or those who have lost their jobs, in a bid to maintain the hegemony of neoliberalism and its values at a time when its failings were brought into sharp focus during and following the global crisis – also exposing failings in the behaviours and practices of the government and the vulture capitalist financier class. Neoliberalism always gravitates towards increasing inequality, extending and deepening poverty. Fear mongering is sometimes used with a diversion or misdirection propaganda technique to mask this, and may be pervasive. Sometimes politicians and media commentators suddenly take a debate in a weird and irrational but predictable direction to avoid democratic accountability. During the coalition and Conservative governments, the tabloids have chosen and framed most of the debates that have dominated domestic politics in the UK, ensuring that immigration, welfare, law and order, the role of the state, and Britain’s relationship with Europe have all been discussed in increasingly right wing terms, while almost ironically, the government have colonised progressive rhetoric to cover their intentions. It also serves to further discredit the narrative of the left. The reason in part for this rhetoric, importing words such as “fair”, “social justice” and “equal opportunity” and repeating them ad nauseam is that the Conservatives know that such ideas build the trust of ordinary citizens. However, there is therefore a growing chasm between Conservative discourse, and policy intentions and outcomes. There isn’t a bridge between rhetoric and reality. The Conservatives commonly use a nudge technique called “social norming” – a Behavioural Insights Team variant of the bandwaggon propaganda technique – particularly for General Election campaigning. It’s about manipulating a false sense of consensus, and normalising Conservative ideology. It’s also about prompting behavioural change, and as such, this method is a blatant attempt to influence the voting behaviours of the public, by suggesting that many others have already “joined” the Conservative “cause” and are happier or better off for doing so. The technique uses societal pressures to play on several basic emotional elements of human nature. Oh, and then there is the basic technique of telling lies, of course. Social norming is an appeal to emotional needs to fit in and belong, and also, to be on the side that wins. As stated earlier, it has a kind of self fulfilling prophecy element to it, too. It’s used in advertising – words like “everyone”, “we”, “our” and “most people” or “many” are used a lot to sell brands and imply a popularity of certain products that usually isn’t real. Political slogans like the almost farcical “country that works for everyone” and the previous “all in it together” are examples of poor attempts at social norming. It’s aimed at shifting our normative framework to accommodate the status quo, too, regardless of how the accounts don’t tally with reality. Once you see it, you can’t unsee it. It’s worth noting that “We are all in it together” was a slogan made famous in Terry Guiliams’s dystopic black comedy Brazil. 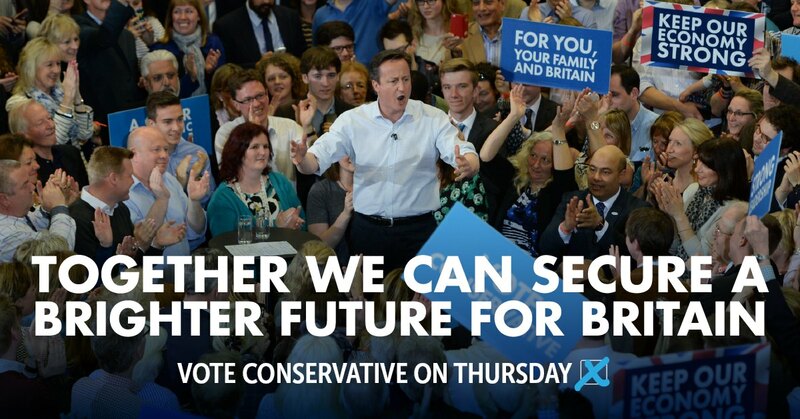 Cameron certainly had a moment of recycling propaganda with grim irony there. As mentioned previously, bandwagon and “inevitable-victory” appeals attempt to persuade the target audience to join in and take the course of action that “everyone else is taking.” Inevitable victory invites those not already on the bandwagon to join those already convinced they are on the road to certain victory. Those already or at least partially on the bandwagon are reassured that staying aboard is their best course of action. Join the crowd is a technique that reinforces people’s natural desire to be on the winning side. This technique is used to convince the audience that a programme is an expression of an irresistible mass movement and that it is in their best interest to join. As an example, see Grant Shapps under fire over website ‘sham’ which used models featured on Australian university site to make Tory activists look ‘youthful and in touch’ with Britain. Also see Behaviourism. Common man – The ordinary folks or Common Man technique is an attempt to convince the audience that the propagandist’s positions reflect the common sense of the people. It is designed to win the confidence of the audience by communicating in the common manner and style of the target audience. Propagandists use ordinary language and mannerisms (and clothe their message in face-to-face and audiovisual communications) in attempting to identify their point of view with that of the average person, and to naturalise it. The word comes from Massachusett, an Algonquian language spoken by the Massachusett people, from whom the US state takes its name. The word mugquomp, meaning “war leader” or “great chief”, appeared frequently in John Eliot’s 1663 translation of the Bible into the Massachusett language, where it was used as a gloss for an officer, captain, and duke. Sadly, Johnson, languishing in his own in solipsism, has clearly invented his own personal meaning, though he really should pay heed to Wittgenstein, who warned of the dangers of private language (the idea of a language understandable by only a single individual is incoherent.) Then he wouldn’t sound like such a mutton-headed numpty. Johnson, like many Conservatives, has problems reconciling his “inner” (subjective) experience with the “outside” (objective) world. By the early 1800s the form “mugwump” had been adopted into English as a humorous term for an important person, leader, or boss. J K Rowling was probably thinking of the earlier meaning when she used the word for the head of the International Confederation of Wizards in Harry Potter, the Supreme Mugwump. Which brings us to the Glittering Generalities technique. This another category of the seven main propaganda techniques identified by the Institute for Propaganda Analysis in 1938. It’s a device often used by the media and in political rhetoric to persuade us to approve and accept something without examining any evidence. This is a propaganda technique purposefully designed to divert and distract, so that people are less likely to develop their own critical thoughts. This said, the purpose of all forms of propaganda is to tell you what to think, and not how to think. Glittering Generalities capitalise on increasingly sloganised political discourses, leading to a loss of conceptual clarity, over-idealisation and they also reflect conceptual miserliness – a tendency for some people to prefer simple, superficial and easy answers, rather than having to expend time and effort to grapple with complexity, critical analysis and the need to weigh up evidence. They also succeed in conveying codified messages that reference underpinning discourses which are often prejudiced and controversial, but presented in a way that bypasses any detailed scrutiny, as a consensus view and “common sense.” An example is the slogan “Taking our country back” as it references an underpinning racist, supremicist discourse, whilst sounding vaguely rightous, because someone nicked England, or hid it on another planet. As such, Glittering Generalities may often be used to neutralise opposition to dominant ideas. It’s a way of disguising partisanship and of manipulating and reducing democratic choices. It’s part of a process of the political micro-management of your beliefs and decision-making. I’m not above a bit of sloganeering myself. In 2015, I came up with “Tory cuts cost lives”, which my friend, Robert Livingstone, turned into a couple of memes. Finally, I thought I would share that the widely used word “selfservative” came from a disillusioned Tory I knew called Derek. I used it a lot on social media, and my friend, Robert Livingstone, popularised it in his memes. Derek defected to Labour and vanished from the Conservative Facebook groups where Robert and I used to have surprisingly civilised debate with him. I will be writing more about electioneering, exposing propaganda and other techniques of persuasion, over the next couple of weeks. “In a white paper authored by Facebook’s security team and published on Thursday, the company detailed well-funded and subtle techniques used by nations and other organizations to spread misleading information and falsehoods for geopolitical goals. These efforts go well beyond “fake news”, the company said, and include content seeding, targeted data collection and fake accounts that are used to amplify one particular view, sow distrust in political institutions and spread confusion. “We have had to expand our security focus from traditional abusive behavior, such as account hacking, malware, spam and financial scams, to include more subtle and insidious forms of misuse, including attempts to manipulate civic discourse and deceive people,” said the company. “In general, Facebook said it faced a new challenge in tackling “subtle and insidious forms of misuse, including attempts to manipulate civic discourse and deceive people. In its effort to clamp down on information operations, Facebook suspended 30,000 accounts in France before the presidential election. The company said it was a priority to remove suspect accounts with high volumes of posting activity and the biggest audiences. The company also explained how it monitored “several situations” that fit the pattern of information operations during the US presidential election. The company detected “malicious actors” using social media to share information stolen from other sources such as email accounts “with the intent of harming the reputation of specific political targets”. This technique involved creating dedicated websites to host the stolen data and then creating social media accounts and pages to direct people to it. At the same time, a separate set of malicious actors created fake Facebook accounts to falsely amplify narratives and themes related to topics exposed in the stolen data. Facebook did not specify which stolen data it was referring to, but we know that tens of thousands of emails were hacked from Clinton campaign chairman John Podesta’s Gmail account and released by Wikileaks. Nor did Facebook attribute the manipulation to any nation state, although it said that the company’s investigation “does not contradict” the findings of a January report by the US Director of National Intelligence that outlined Russian involvement in the election. Russia has also been implicated in the hacking of French presidential frontrunner, Emmanuel Macron, according to a report by researchers with Japanese anti-virus firm Trend Micro, published this week. Facebook pledged to monitor attempts to manipulate the platform, to develop new ways of identifying fake accounts, educate at-risk people about how to keep their information safe, and support civil society programs around media literacy. My work is unfunded and I don’t make any money from it. I am disabled because of illness and struggle to get by. But you can support Politics and Insights and contribute by making a donation which will help me continue to research and write informative, insightful and independent articles, and to provide support to others. Thanks also for ‘liking’ that comment, Kitty. Cameron’s main “success” with media manipulation was the “for hardworking people” mantra, now people consider anyone unable to work is just plain idle. “Opinion polls are a device for influencing public opinion, not a device for measuring it. An interesting recent development by the Conservatives is the dropping of the title ‘Conservative’ from publicity, or ‘point of sale’ outlets. Interesting partly because it shows rather too much over-thinking by the PR lads. Obviously some bright button has decided that the word ‘conservative’ is associated with words like, outdated, out-of-touch, old-fashioned and stuffy, which it is. The over-thinking bit comes where someone has realised that young votes may decide this election and young voters are not attracted by ideas that sound outdated, out-of-touch, old-fashioned and stuffy. So what could be better than sell the same old ideas in a different wrapper? The thing is that nobody could come up with new brand name in time for the election that would fit a party that is outdated, out-of-touch, old-fashioned and stuffy. It doesn’t take the freshest strawberry in the punnet to work out that replacing ‘Conservative’ with big bold letters shouting ‘THERESA MAY’, does not automatically bring to mind, forward-thinking, innovative and open-mindedness. Dressing mutton as lamb is almost certain to draw unwanted attention to just how dull and uninspiring the Conservative Party leader. With the best will in the world she could hardly be described as sprightly and quick-witted. Good news for the Labour Party is that the over-thinking is already making Jeremy Corbyn look even younger. In what is almost certainly going to be a much tighter finish than May and her cohorts anticipated, the desperation is beginning to show. That’s a very interesting observation, thanks Bryan, will explore that in due course. So refreshing, Kitty, to have someone put down in black and white what I have always believed about opinion polls; how they conveniently show what the people (Tories) quoting them are using them for and how they are trying to influence the vote in any election in their favour. Anyone in one of the disenfranchised groups (public sector workers, OAPs, the disabled, those suffering from mental health problems and the unemployed) probably wasn’t ncluded amongst those polled. I am sorry to hear about your very difficult circumstances, Kim. Have you applied for Discretionary Housing Payments? It’s a temporary solution, but would ease some of your dire situation for at least a year. Spot on account of how Governments use pollsters to shape public opinion.